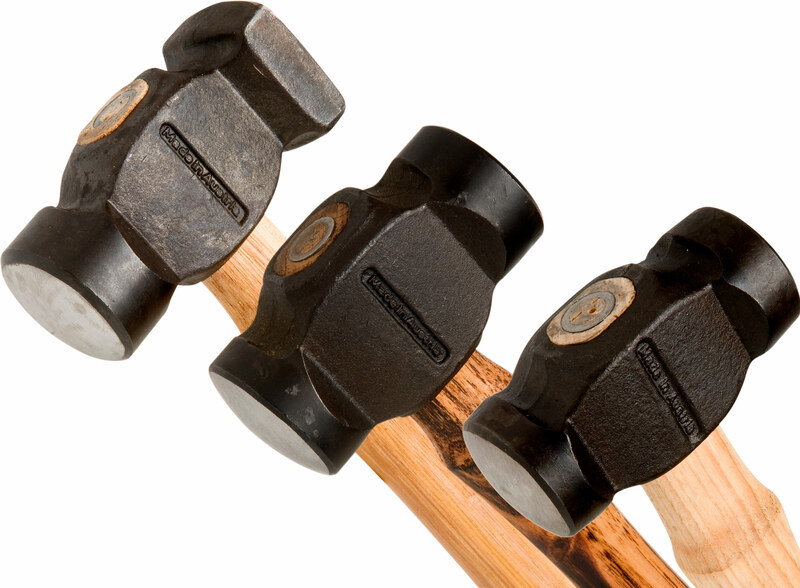 The Mustad forging hammers are available in three models. Two of these have a round side and a ball side. The difference is weight and size; the small one is 950g, the large one is 1,100g. The third model has a square side and a ball side. The strategic balance between the length of the hammer handle and the weight of the hammer head enables light forging with maximum power use. The precise fitting hammer handle is fixed with a steel ring wedge.